From Reno we look at the dramatic escarpment of the Sierra Nevada, a short drive away. As a California native, artist Ann Johnston has frequented many of the high trails, particularly on the east side, and she has spent many more hours of her artistic life trying to imagine how to put her appreciation and understanding into cloth and stitches. She calls the resulting body of large-scale quilts (34 to-date) “The Contact,” which includes both the geologic and historic influences on what we see. 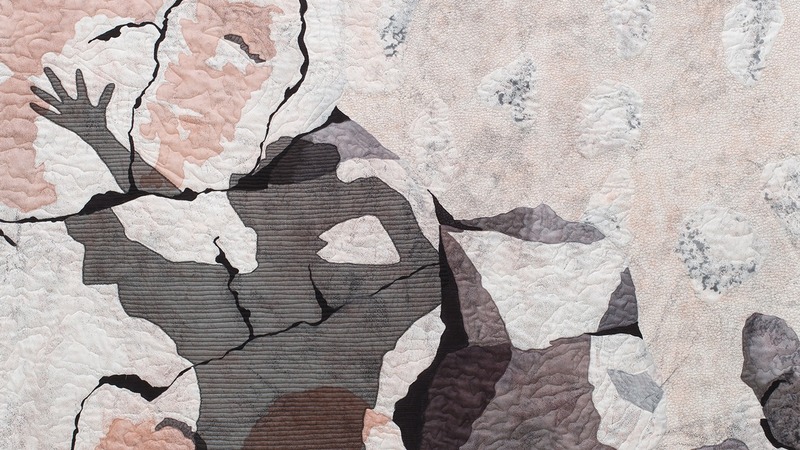 This body of work is featured in the Museum’s exhibition “Ann Johnston: Quilts of the Sierra.” Johnston looks inside what we see through a lens, at details of crystal structures and beneath the surface of the land, imagining geologic events that inform her current body of work. Join Johnston as she reveals the sources of her ideas, the development process, and where it will take her next.